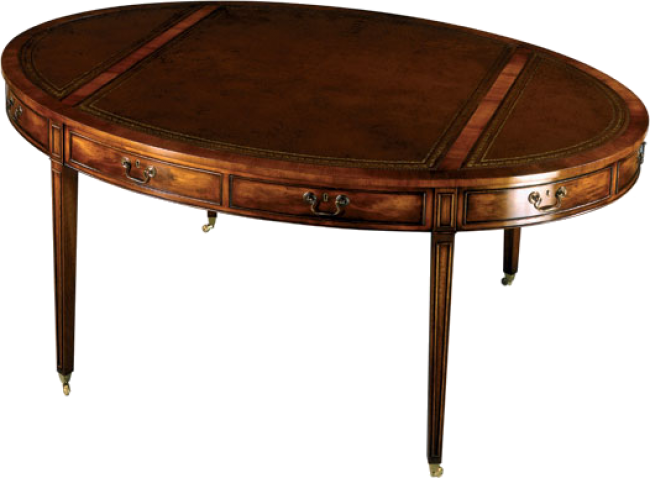 Oval writing table with hand tooled leather writing surface on four square tapered legs teminating in solid brass casters. Table consists of six drawers, all lock with solid antique brass hardware. Also available with wood top. Pictured in Mahogany.